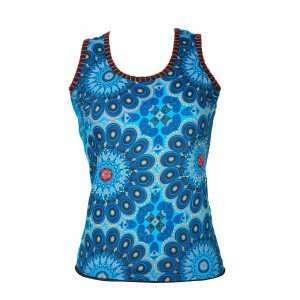 This summer top has its own flair. It is fun, fresh and fashionable. It perfectly showcases a colourful abstract print finished off with intricate handwork details and makes it to a true eye-catcher! Easy to combine on a pair of jeans or on one of our skirts. 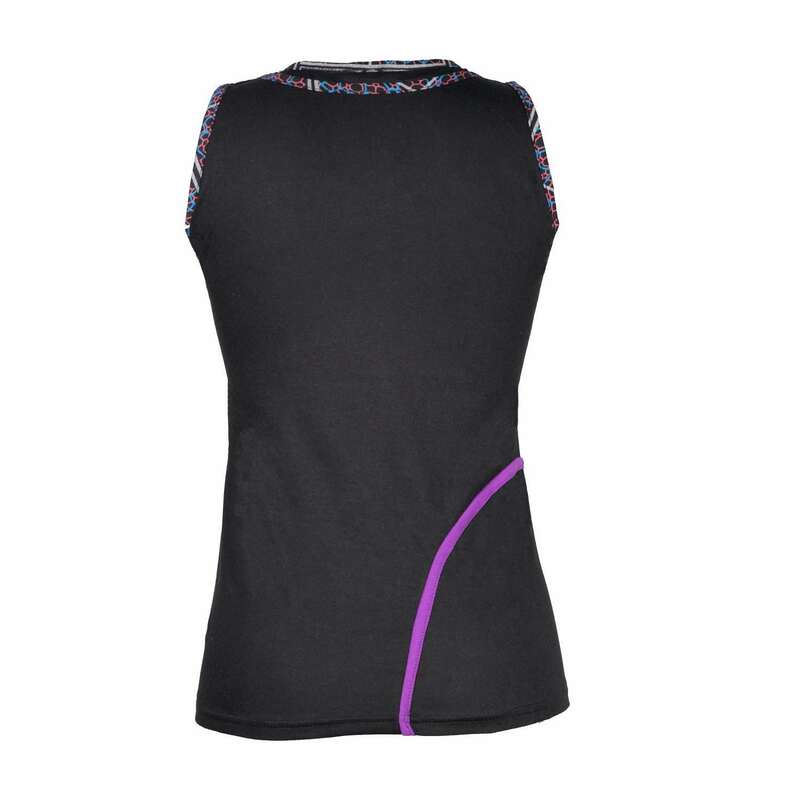 Our tops are made of a stretchable quality cotton and therefore very comfortable to wear. Because of its great fit we have chosen to combine the sizes. You can choose between: S/M, L/XL, XXL and 3XL. Fit note: This top runs a bit large. A summer essential that is hard to resist! 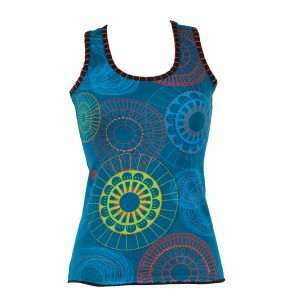 This tank top is full of energy and will add a splash of colour to your wardrobe. Give your casual look an impression that will last for season .. and many seasons to come. Fit note: This top runs a bit small. Casual, feminine and everlasting – what more can you ask for? 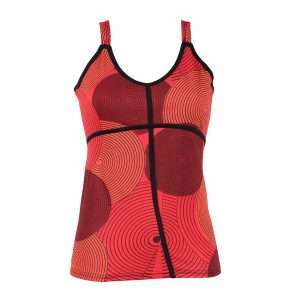 This criss cross detailed top takes a fun spin on a casual sleeveless top by taking it to the next level. Easy to wear and easy to pair, this is the perfect top for any occasion.